A Chinese space station has come crashing down. Tiangong-1, which translates to “Heavenly Palace”, fell to Earth on 1 April. Despite the date, this wasn’t a prank. Most of the 10.4-metre-long space station burned up as it hurtled through the atmosphere, but a few pieces may have remained intact and splashed down in the southern Pacific Ocean, just north-west of Tahiti. For the past two years, the space lab has been spiraling ever closer to Earth. It was difficult to predict when it would enter Earth’s atmosphere because it was moving so fast. “It’s going at 17 thousand miles an hour, so if you’re off by an hour you’re off by 17 thousand miles,” Jonathan McDowell at the Harvard-Smithsonian Center for Astrophysics in Cambridge, Massachusetts. Astronomers and space flight enthusiasts tracked Tiangong-1’s return to Earth with radar measurements and data from a satellite-tracking website run by the US Department of Defense. Tiangong-1 was China’s first space station. It launched in 2011 and hosted astronauts twice, in 2012 and 2013. It was only planned to last for about two years. The Chinese space agency put it into sleep mode after that second visit in case its replacement, Tiangong-2, did not successfully launch. 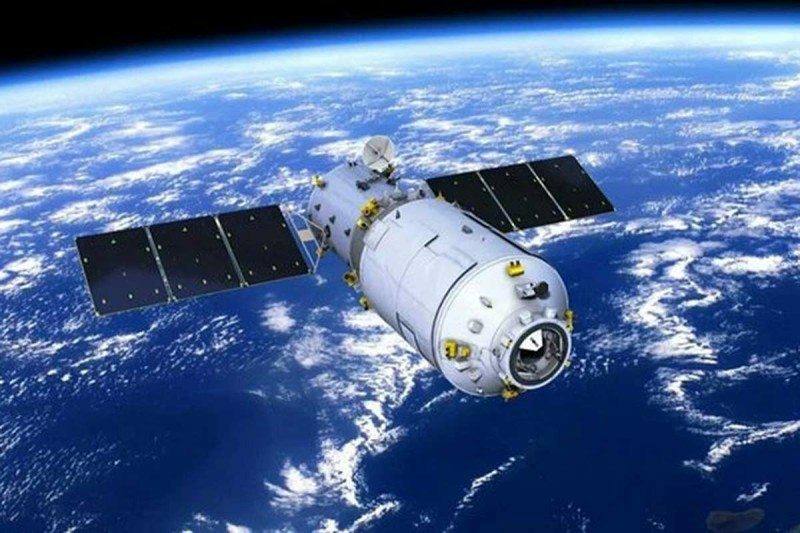 When the Chinese space agency tried to send instructions to Tiangong-1 in 2016, they found that it had lost power. There was no controlling it. Usually, when a large spacecraft reaches the end of its mission, operators use its thrusters to aim its re-entry so that any pieces that don’t vaporise or melt in the atmosphere end up hitting the ocean. In this case, they had to let gravity take the wheel.